The DeLeo-Kaga shipping company was formed on the campus of West Hampshire A&M in 2012, a small business moving students from their hometowns to the college residence halls. The three original partners, Dennis Leo and Keith and Griffin Andersson, incorporated as De-Leo/K.A.G.A. in 2017 and soon the company was one of the most successful shipping entities in the United States. In 2037, the company emerged as the sole remaining international shipping conglomerate after the worldwide markets implosion that prompted the passage of the Too Big To Fail corporate protection treaty. De-Leo/K.A.G.A found itself uniquely positioned to take over Low-Earth orbit shipping for the Eurasian Space Agency. Ten years later, the company pioneered EAB (Earth to Asteroid Belt) supply runs as terrestrial shortages threatened to cause a second Water War. In 2189, DeLeo/K.A.G.A took a bold step in interstellar shipping when it assisted in transporting a group of 325 religious refugees from New Texas out of the solar system in suspended animation. The group’s new home was an extrasolar planet whose location has never been revealed, despite intense pressure from the Middle Atlantic Treaty Consortium. Fifty years of sanctions against DeLeo-K.A.G.A. by MATC crippled the company but did not put it entirely out of business. The corporation survived by licensing its suspended animation technology to other interplanetary shipping companies. Today, De-Leo-Kaga ranks as one of the top five interstellar shipping companies in the solar system. Though the company has been prohibited from taking on government clients for the last century, their private-sector clientele includes Nearthon Manufacturing (leader in low-gravity orbital manufacturing platform installations), the Subsaharan Farming Cooperative, and Cratos Footwear. 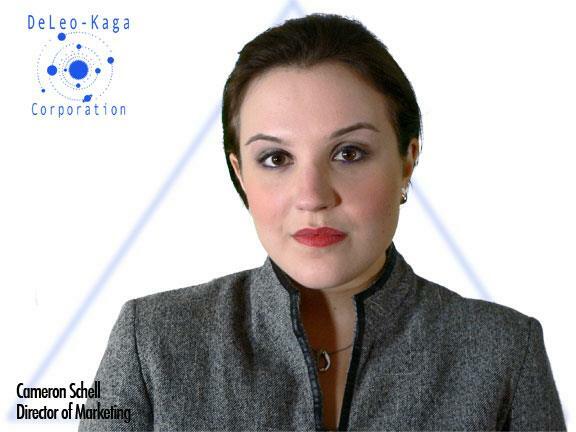 Cameron Schell, Director of Marketing, DeLeo-Kaga Corp.